Parenting the Lefkoe Way was created because we believe that everyone should have a chance to create the life they want. But many of us have picked up beliefs from childhood that inhibit us from being able to do just that. So we decided to start from the beginning and teach parents, grandparents, teachers and anyone who has a child in their life they love - to empower children with positive beliefs about themselves and life and help them create the live of their dreams. 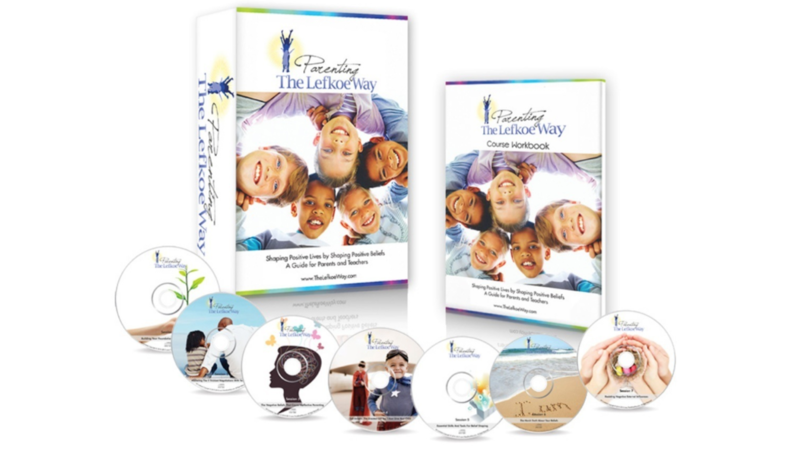 Read about our Parenting Product - Parenting the Lefkoe Way! The 10 things Parents do to Sabotage their Children's Happiness and Success! Learn Everything You Need To Empower the Children You Love to Live Their Greatest Lives! Children form beliefs about themselves and life during their childhood years, some enable them and some hinder their future happiness and success. See how you can identify when your children are forming negative beliefs about themselves and how you can intervene. "The 10 Things that Sabotage your Child's Success and Happiness" has been watched by thousands of parents across the globe. Find out how you can create a loving and honest bond with your children that eliminates the need for yelling and fighting. Discover how to properly approach your children so that they will WANT to talk to you and share their hopes and fears. Learn how to deliberatly create a family environment that caters to the good the whole family and ensures happy, balanced lives.